Click on the 'Pages' tab on the left sidebar. Click 'Add Page' in the top right -hand corner. Enter a title for your page. 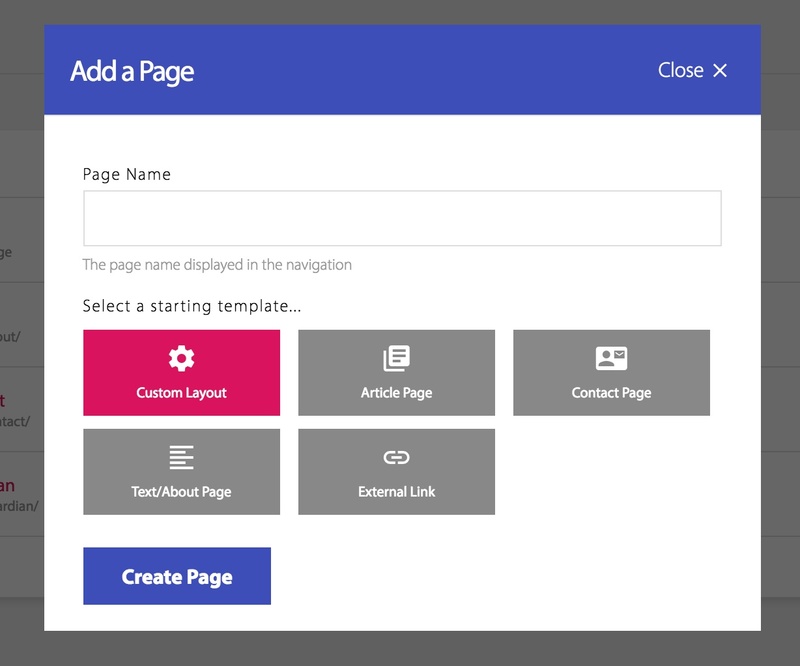 Then change the page type (Articles, Text Page, External Link, Publications, or Contact Form). Click 'Create Page' to save your changes. All the other pages are the same and just come pre-filled with various 'Blocks'. You can customise the blocks on any page you create and a Contact page has a contact block on which is a contact form. You can still add other blocks on to a page such as text blocks or an image block.